Bar Diameter: 2.25" Bar Length: 2.25"
COMMENTS: These create really fun sized soaps! Daughter and I made them as a Christmas gift for classmates, and I'm confident that they're large enough so that a small child won't mistake it as candy. 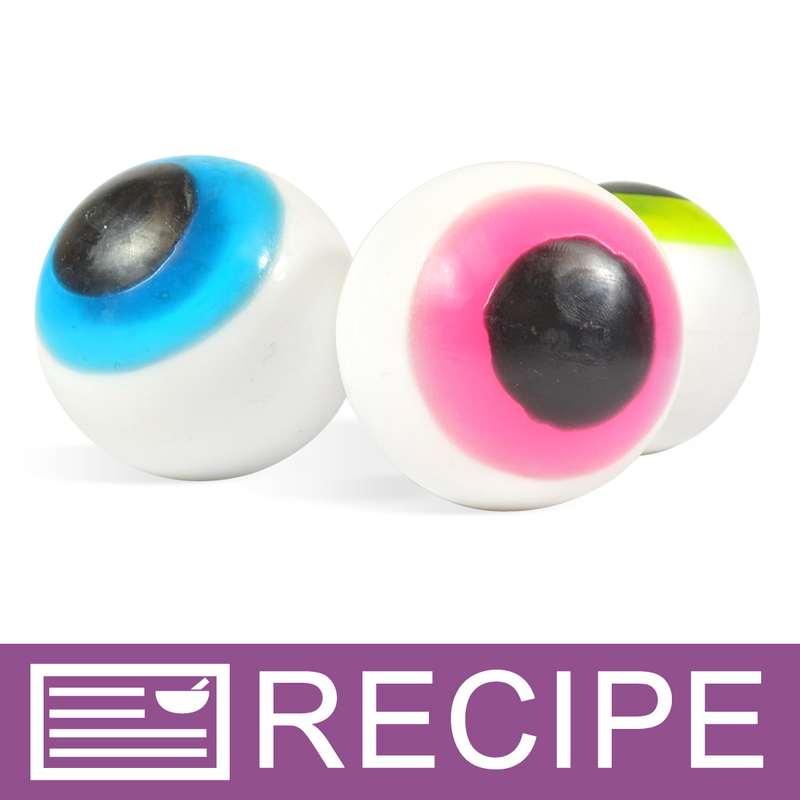 COMMENTS: works great to make the eyeball soap and candy apples. Large soap ball!! "Round Ball 2 1/4" Silicone Soap Mold 1801"
COMMENTS: I love this mold. It doesn't seem as though it would be very versatile, but use your imagination... there are so many possibilities! I have used this mold for everything from Pokemon balls to suspending CP embeds in clear MP! It snaps together well, so nothing leaks once you have them together. The hole at the top is big enough to place small embeds after the lid is on, and to pour more MP to the top. Very sturdy, and well made! COMMENTS: Worked great for creepy eyeball soap. Looking forward to using it to make Christmas ornament soap. COMMENTS: have used this to make lots of soaps - wish I could make it work with bath bombs :) kids love the soaps made with this lots of possibilities - endless ideas - loads of fun and so very easy to use well... unless your hands shake like mine and you are trying to make the eyeballs! ugh! - not hard - just go slow and easy and remember... less is more on the black pupil. :) have fun - these are great! "Some seal well - others leak"
COMMENTS: I purchased several of these for MP soaping and found that the tabs to seal and the holes they fit into tore after only a few uses. Some of the molds sealed tightly - others leaked through the seal. If making MP soap I would allow extra soap for the leakage. COMMENTS: Can I say WOW how cool is this mold. Extremely durable, I made a snow globe and a bouncy ball. Just make sure you press the mold together at each end, sides and in the middle. I didn't do this in the beginning because I didn't see that it snapped together. I love this mold and I am sure all the kids will too! "perfect for snowball christmas soap theme"
COMMENTS: used for soap in a rope. very easy . COMMENTS: I first ordered this thinking it would be much smaller (yea I know look at description). So once I received it I had no idea what to do with it. I am so glad I ordered this mold. I have found some really good uses. Now I love this mold! COMMENTS: These were exactly what I was looking for. "I love this mold for inbeds"
COMMENTS: I love it for embeds. I use them for small lotion bars that I cut in 1/2 and then put them in small containers. COMMENTS: Makes a wonderful round shape. I suggest not quite filling the cavity completely if you're making stand-alone round soaps. This way they have a flat spot to stand on and don't roll around. My only issue is that it leaks slightly at the seams, but it's easily remedied by pouring at a thicker trace, or once the base has thickened slightly. COMMENTS: Love the shape and the gloss this mold provides. But I found it difficult to fill the top portion...and was a bit disappointed a "stem" wasn't created so the spheres resembled more of a Christmas ornament. • Finish on the soap, glossy! COMMENTS: I totally love the end product. At first I thought it was going to be a total mess but loved the end product. "Can these molds be used for bath bombs?" Staff Answer We have not tested them for this purpose. Because this mold is in two pieces it may prove difficult to pack both halves an still have enough time to press them together and get them to stick. You will need to test this for yourself. "Can this mold be used for hot process soap?" You would really have squish your soap down on both sides to prevent air pockets, as Hot process soap can be kind of thick. Temperature wise it will be able to withstand theheat, as it is silicone. Maybe try a very small batch and make sure to spray a little oil on the inside first for easy release. "Can this be use for soap on a rope mold?" Staff Answer Yes, it could. Once the soap is poured you can place a rope into the pouring hole to make the soap on a rope. "can this mold be used for bath bombs? " Staff Answer This mold has not been tested for use with bath bombs nor was it designed for that purpose. If you test this mold with a bath bomb please let us know how they turn out. "What amount of oils (for CP soap making) would you suggest using to fill this mold?" Staff Answer This mold will hold a total of 32oz of liquid. You will need to calculate your CP recipe for a total batch size of 32oz. 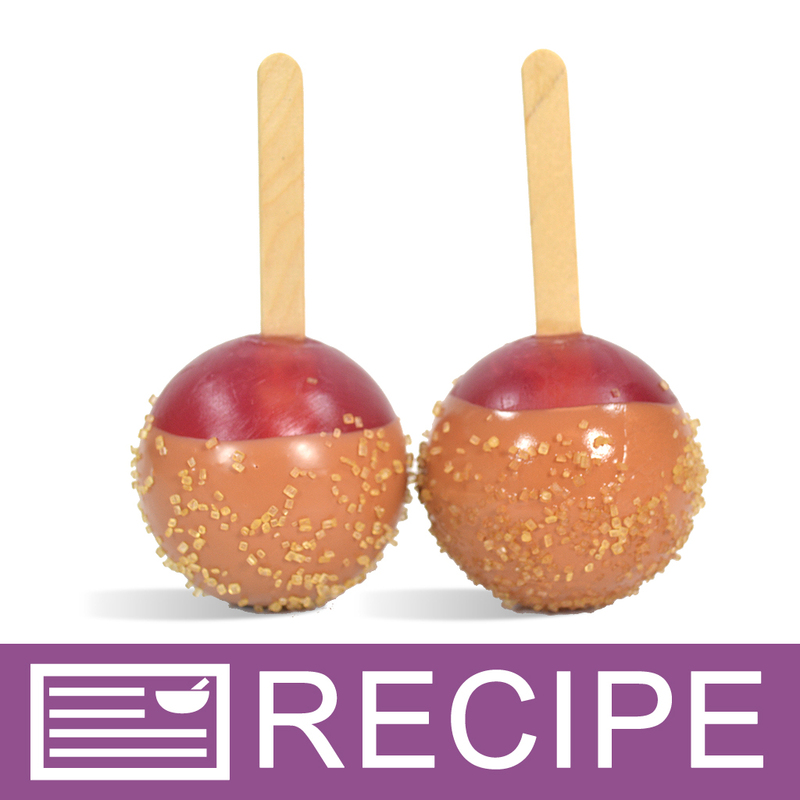 "How hard is it to get a Cold Process batter into those holes to fill the mold? What size holes are they?" Staff Answer Cold process can be used in these molds as long as they are poured at a light trace. The openings are just over a half of an inch (9/16") in diameter. Piping the CP in the mold would be an option for a heavy trace.